I’m writing from high in the Colorado Rockies. It’s spring break here in Dillon and Sheilla and I are here to be with the grandkids. The only problem w e have with our move to Americus is being so far away from family, so we thought this would be a good time for a quick reunion. It’s been cold up here, by south Georgia standards anyway. We got a couple of inches of new snow this week. Today the temperatures were in the 30’s, but there was a stiff wind to remind us that springtime in the Rockies is a mixed bag. This is an amazing planet we live on. Earth Day is coming up next week, and I can’t think of a better way to celebrate it than to get out of town and experience the earth. This trip was slated as a getaway, but our modern age keeps us so well connected that I don’t seem to be all that far from the office. So far this week I’ve been on five conference calls and spent a fair amount of time communicating—not so much, though, that I haven’t had time to play. 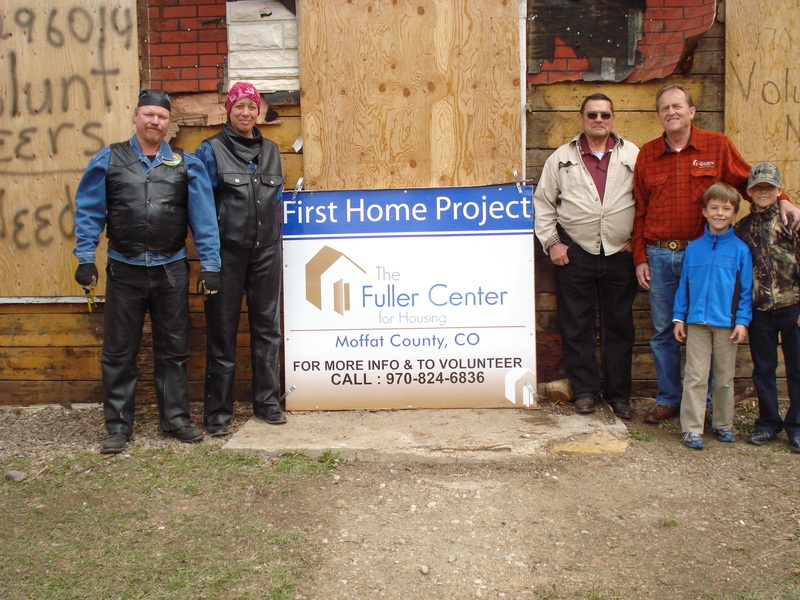 We travelled to Craig the other day to visit with the folks at the Moffat County Fuller Center for Housing. Craig is in the northwest corner of the state in an area rich with oil, natural gas, and shale deposits. If this country ever decides to harvest its own energy this will be a wealthy area. Now, though, it’s depressed with great need for the work we do. We met with FCH president Neil Folks and two members of his board, Steve and Donna Johnson. Steve also serves as their safety coordinator and Donna is the site supervisor. They have a challenging project underway—they’ve been given an old, two story boarding house that they are demolishing, stick by stick. It was built in 1929 and has salvageable timber that can be recycled. Once this building is down they will build a duplex on the site. An ambitious project for a young covenant partner! It’s great to get out to where the tangible work of the Fuller Center is happening. The work we do in Americus is vital, but we don’t get to pound many nails. It’s at the local level that volunteers are working, communities are being revitalized and lives are being changed. Next week it’s back to Americus, with a renewed sense of the magnitude of the work we are doing together.